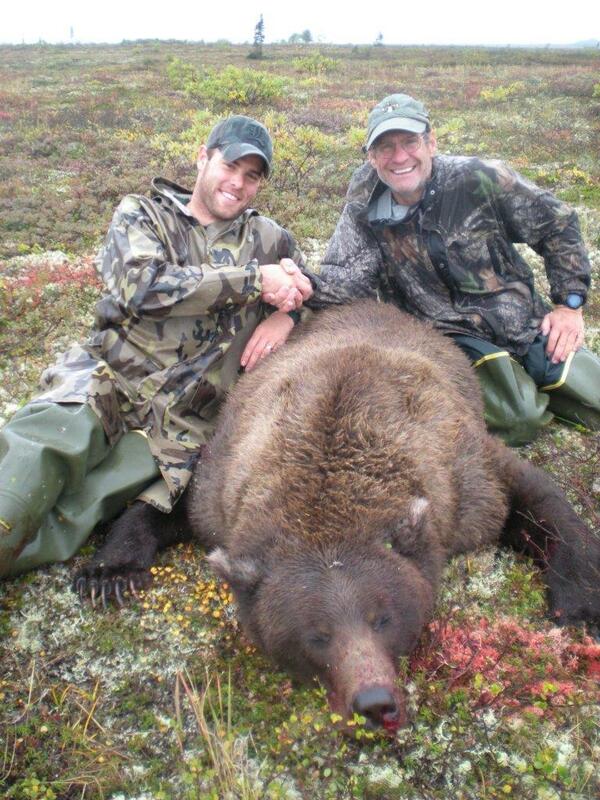 I hunt brown bears in the fall in Southwest Alaska in the area commonly referred to as Bristol Bay (GMU 17B), currently maintaining permits that cover well over 2 million acres of state park and DNR land in this prime hunting location. Sometimes we’ll access the country via a Cessna 185 but mostly we’ll use a DeHaviland Beaver - both equipped with floats. This hunt originates in Dillingham and the significant scheduled bush flight cost to and from the hunting camp, at the beginning and end of each trip, is included in the price. BASE CAMP OPTION - This traditional approach to brown bear hunting has us operating out of an established camp that consists of a coordinated assortment of shelters that can include a custom made wall tent that doubles as a field kitchen, large sleeping domes, and mountain tents that accommodate guides. As you might expect there are cots, a table and chairs, lamps, and countless other details that make your stay warm, dry, and comfortable. Fare is as hearty and varied as a weight conscious wilderness setting will allow. This mostly translates into high quality freeze dried meals supplemented with other odds and ends. In short, breakfast can include mixes, pancakes, or hot and cold cereals, lunch is assorted meats, cheeses, trail mixes, and chips, and dinner is a main course with additional sides and a sweet for dessert. This hunt is offered September 18 to September 27. 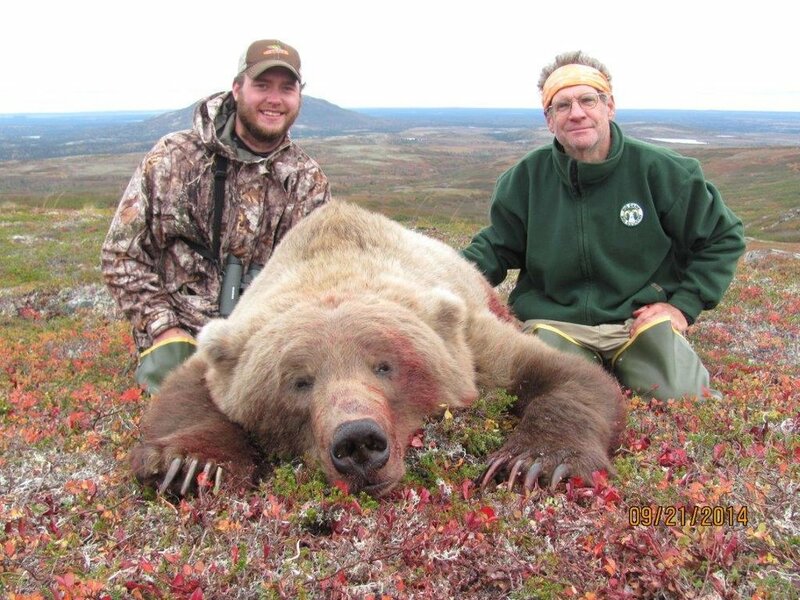 SPIKE CAMP OPTION - Over the years we have discovered that putting a camp on our backs and climbing into choice country has been a very successful way to hunt brown bears. This puts us in a position to “go to sleep and wake up with the game” without spending a lot of back and forth time getting into and out of the most productive areas. The weather on the first bear specific offering is generally more favorable than later on but is dynamic any given year and at any given time so you should expect and be prepared mentally and physically for the worst. Meals are portioned and specific and the whole approach is similar in style to the extremes of remote sheep hunting. Clients must be in very good shape and be willing and able to carry sizable loads that often require several trips in order for this hunt to be satisfactory and successful. The hunt is offered September 29 to October 8. No matter the choice of hunting techniques, brown bears are very abundant in my area (two bear bag limit) with the population continuing to increase. In addition to a great density there is a proliferation of color phases ranging from deep coffee brown to wheat straw yellow which also makes my area very attractive. We’ll usually find them in open glades feeding aggressively on berries or on brushy hillsides grubbing roots but there is also the possibility of getting a bear that is visiting a kill site - his or ours! Weather conditions throughout the season are usually overcast, perhaps wet, but always windy. As stated hunts are offered 2x1 September 18-27 and September 29 - October 8. Black bear, wolf, and wolverine are also considerations on these 10 day trips. I have been hunting brownies since 1994 and clients in a reasonable condition with the right attitude continue to have an excellent chance at taking a dandy trophy while on this personally guided hunt.